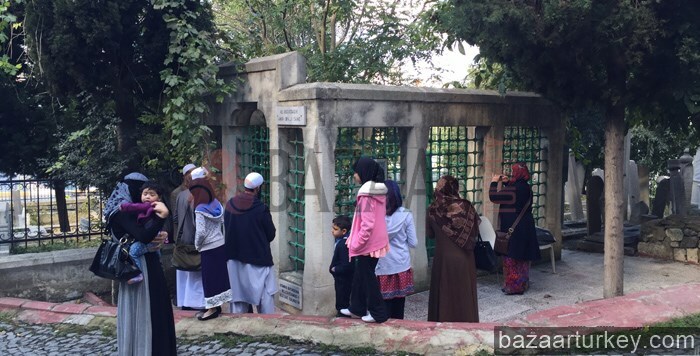 Mosques - Sahabe Tombs - Cemeteries - Religious places visit In Istanbul. * About Eyup El Ensari : He is the companion and standard bearer of the prophet Mohammed. The tomb is located in the Eyup district in Istanbul beyond the old city walls of Constantinople on the south part of the Golden Horn. 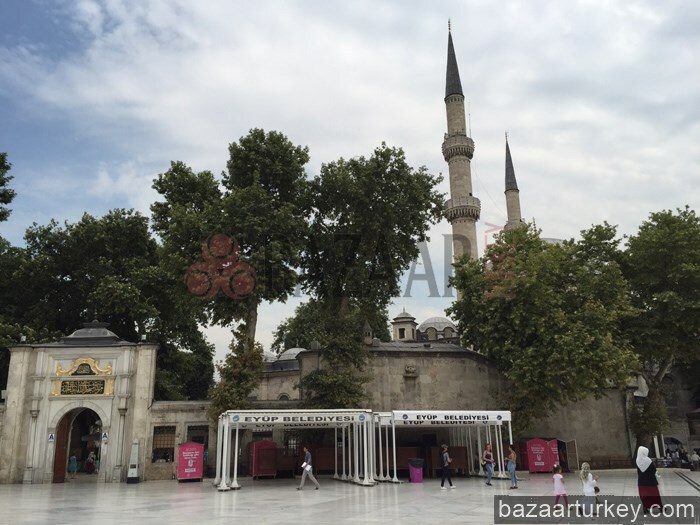 * Eyup Sultan Mosque : It was built by the grave of the armor-bearer prophet Muhammad who died during Constantinople attack. * Sultanahmet Mosque : It was built in the beginning of the 17th century to the order of Ahmed the First. It’s designed in blue colored tile. There is a piece of a Saint gem of Kaab in the Mosque. Islam is the largest religion of Turkey. Around 90% percent of the population is registered as Muslim, mostly Sunni. The Shia Alevi community, a distinct Muslim sect, makes up 20% of the population. Christians (Oriental Orthodoxy, Greek Orthodox and Armenian Apostolic) and Jews (Sephardi), who comprise the non-Muslim population have dramatically declined since the early 19th century onwards from 20% to less than 1% today, and are continuing to steadily decline since the year 2000 as well. Turkey is officially a secular country with no official religion since the constitutional amendment in 1924 and later strengthened in the Kemalist Ideology, alongside the Atatürk's reforms and the appliance of laïcité by Atatürk at the end of 1937. However, currently all public schools from elementary to high school hold mandatory religion classes which only focus on the Sunni sector of Islam. In these classes, children are required to learn prayers and other religious practices which belong specifically to Sunnism. Thus, although Turkey claims to be a Secular state, the enforcement of secularism in public grade schools is controversial. Its application to join the EU divided existing members, some of which questioned whether a Muslim country could fit in. Turkey accused its EU opponents of favouring a "Christian club". Beginning in the 1980s, the role of religion in the state has been a divisive issue, as influential factions challenged the complete secularization called for by Kemalism and the observance of Islamic practices experienced a substantial revival. In the early 2000s, Islamic groups challenged the concept of the secular state with increasing vigor after the Erdoğan government had calmed the issue in 2003. The Turkish Government states that between 90% - 95% of the population belong to the Islamic Majority, but recent polls do not concur. In the most recent poll conducted by Sabanci University, 83% of Turks revealed they were Muslim. Of that, 16% said they were "extremely religious", 39% saying they were "somewhat religious", and 32% saying they were "not religious". 3% of Turks declare themselves with no religious beliefs. In addition, only 13% of Turks have a favourable opinion of Christians, and 10% of Jews. Islam is the religion with the largest community of followers in the country, where most of the population is nominally Muslim, of whom over 75% belong to the Sunni branch of Islam. Over 20% of the Muslim population is Shia Alevi. 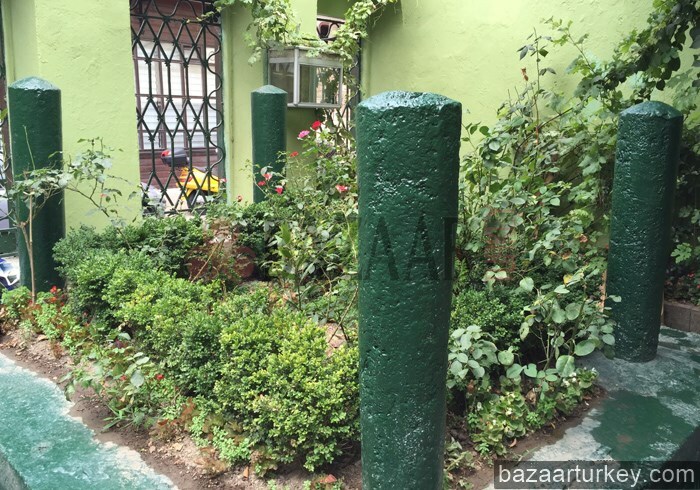 There is also a small Bektashi community belonging to a Sufi order of Islam that is indigenous to Turkey, but also has numerous followers in the Balkan peninsula. More Recent Poll numbers show that Islam in Turkey is slowly declining. Islam arrived in the region that comprises present-day Turkey, particularly the eastern provinces of the country, as early as the 7th century AD. The mainstream Hanafi school of Sunni Islam is largely organized by the state, through the Religious Affairs Directorate, which was established in 1924 following the abolition of the Caliphate and controls all mosques and Muslim clerics, and is officially the highest religious authority in the country. As of today, there are thousands of historical mosques throughout the country which are still active. Notable mosques built in the Seljuk and Ottoman periods include the Sultan Ahmed Mosque and Süleymaniye Mosque in Istanbul, the Selimiye Mosque in Edirne, the Yeşil Mosque in Bursa, the Alaeddin Mosque and Mevlana Mosque in Konya, and the Great Mosque in Divriği, among many others. Large mosques built in the Republic of Turkey period include the Kocatepe Mosque in Ankara and the Sabancı Mosque in Adana. 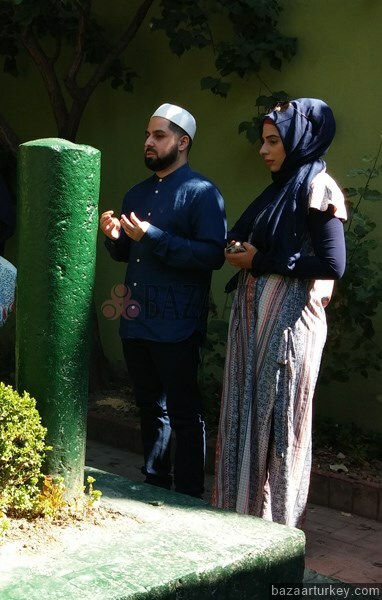 The mainstream Hanafite school of Sunni Islam is largely organised by the state, through the Diyanet Isleri Baskanligi (Religious Affairs Directorate), which controls all mosques and Muslim clerics. The directorate is criticized by some Alevi Muslims for not supporting their beliefs and instead favoring the Sunni faith. The Ecumenical Patriarch of Constantinople (Patrik) is the head of the Greek Orthodox Church in Turkey, and also serves as the spiritual leader of all Orthodox churches throughout the world. The Armenian Patriarch is the head of the Armenian Church in Turkey, while the Jewish community is led by the Hahambasi, Turkey's Chief Rabbi, based in Istanbul. All these groups share the same criticism of the directorate. 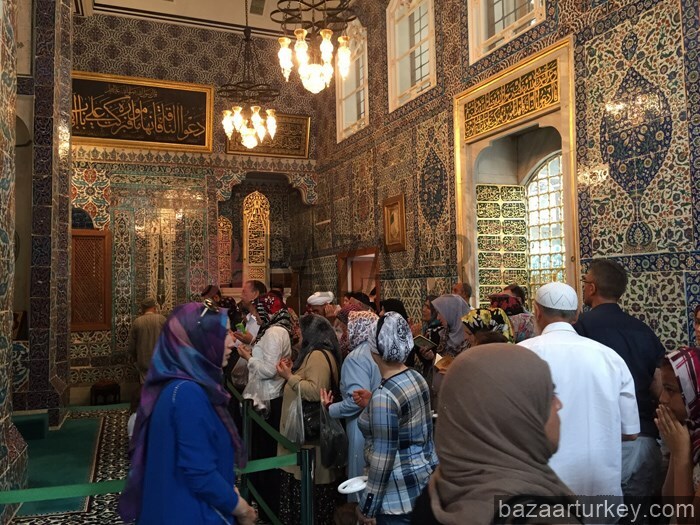 Tags: Islamic Religious Tours, islamic heritage tours, Mosques and tombs in Istanbul, Muslim Community in Istanbul, Muslim Mosques and tombs Tours - Visits, Mosques and tombs Visits In Istanbul, Sahabe Tombs, Religious places in Istanbul, Mosques - Sahabe Tombs - Cemeteries - Religious places Visit In Istanbul.